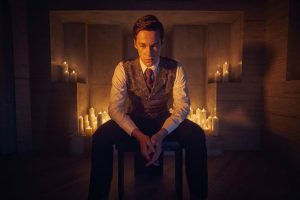 'American Horror Story: Apocalypse' Episodes 1 & 2: The Horror News Network Review - Horror News Network - The Horror News You Need! Season Nine of FX’s American Horror Story is upon us, and the apocalypse has never looked so dreary! 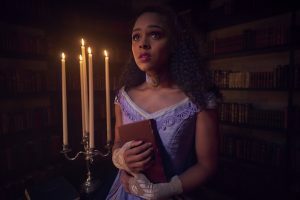 Trading in cavernous asylums, gothic mansions, and backwoods freak shows for a claustrophobic candle-lit labyrinth, the series heads in a different direction while still promising a glimpse or two at the past. The season opens with the always-incredible Billy Eichner running through the streets of L.A. as if he’s hosting a segment of Billy on the Street. It turns out that mankind has finally triggered the end times, and everyone must fend for themselves. That is, everyone but the ultra-rich and those with impeccable DNA. In a scene that looks like it would feel right at home in an episode of Tim and Eric’s Bedtime Stories, a mysterious group arrives at a family’s doorstep and demands to take one of their boys to save him from the nuclear fallout. So series newcomer Kyle Allen’s character, Timothy Campbell, is whisked away to a mysterious compound while his family probably contemplates if they even need to respond to his UCLA acceptance letter that just came in the mail. The first episode sets up the premise of the season quickly, and before we know it we’re right in the middle of all the action- which takes place in a Bauhaus-inspired shelter run by a mysterious group called The Cooperative. What follows is what can best be described as an “acquired taste,” as viewers are- for better or for worse- quickly drawn into the typical trappings of the franchise. The American Horror Story hype train focuses almost exclusively on the fact that Apocalypse is meant to be a crossover of the popular Murder House and Coven seasons. Showrunner Ryan Murphy’s social media accounts featured shot after shot of classic characters returning to iconic locations. With that in mind, I’m sure the fact that none of them are in the first two episodes might come as a shock to some viewers. The rubber man’s back, but Tate Langdon and Madison Montgomery are nowhere to be found. They’re obviously going to appear in later episodes, but it’s clear that Apocalypse isn’t satisfied with simply retreading sacred grounds. Instead, the season establishes an authoritarian regime and its captive audience of wealthy, vapid stereotypes and a couple of clever protagonists played by Allen and Ash Santos. Timothy and Emily are the most interesting additions to the cast, and their characters are the only ones I found myself caring about so far. The rest are boring, predictably “edgy,” obnoxious, or a combination of such traits. Sarah Paulson and Kathy Bates can hold an audience’s attention as Wilhemina Venable and Miriam Mead respectively, but the “sadistic authoritarian leader” archetype has pretty much been played out on American Horror Story for nine seasons, and- even though this kind of role is relatively new for Paulson- I can’t help but wish for both of these talented actresses to be given new and unique roles on the show. 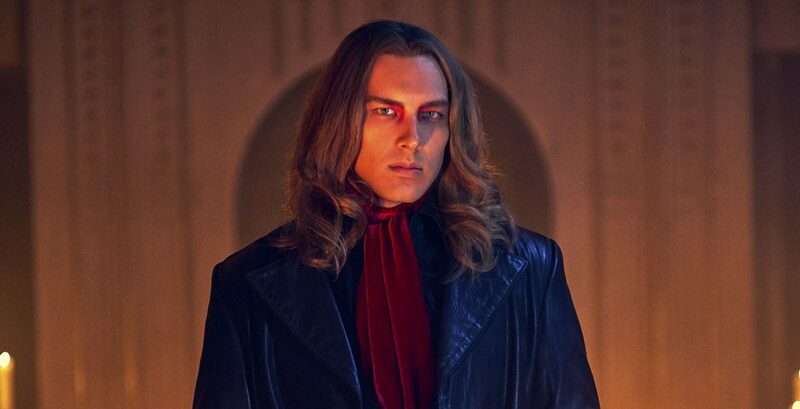 Cody Fern was incredible on Ryan Murphy’s The Assassination of Gianni Versace: American Crime Story, and he quickly emerges on the scene of Apocalypse as Michael Langdon, the harbinger of the apocalypse first introduced as a baby all the way back in Season One. His wardrobe comes right out of 1994’s Interview with the Vampire, and he’s promising food and salvation to a select few of the select few… although it’s clearly going to come at a price. What’s next is anyone’s guess, especially given the fact that American Horror Story isn’t exactly known for consistent storytelling. Is there some kind of twist which explains why the $100 million per person shelter doesn’t have a backup generator or enough rations? Will the Murder House and Coven characters only appear in tiny flashbacks? Whether you’ve seen Episodes 1 and 2 or not, your guess is as good as mine! But the promise of returning favorites- and the fact that the new season doesn’t seem as dead-set on shocking gross out violence for no apparent reason- will certainly keep me sticking around for upcoming episodes. Stay tuned to Horror News Network for complete coverage of American Horror Story: Apocalypse, including reviews of upcoming episodes- as soon as it breaks!